It sure looks like the Alaska Aces are running away in their the 2015-2016 PBA Philippine Cup semifinals series opposite the GlobalPort Batang Pier, who just seem like they’ve bitten off way more than they can chew. 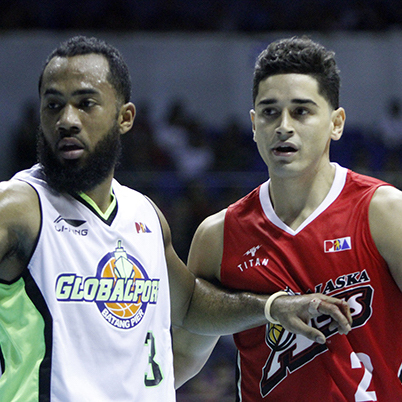 Tonight’s win for Alaska gave them a seemingly insurmountable 3-1 lead over GlobalPort. Stanley Pringle couldn't lift his team past Chris Banchero and the Aces. The Alaska Aces controlled the game from the very beginning as they cruised to a 109-84 victory over GlobalPort in Game 4 of their SMART BRO PBA Philippine Cup semifinal series on Sunday at the SMART Araneta Coliseum. Calvin Abueva led the way with 20 points and 13 rebounds, while Dondon Hontiveros added 16 markers as Alaska came to within a win of making the Finals after taking a 3-1 lead in the best-of-seven series. RJ Jazul added 14 points, including four three-pointers, while Chris Banchero chipped in with 10 points and 5 boards. Four other players scored eight or more points in a balanced showing for the Aces. GlobalPort shot much better in this game compared to Games 2 & 3, but they struggled on the boards and on the defensive end. Terrence Romeo shot 9/21 from the field on his way to a team-high 24 points, while Stanley Pringle came off the bencj to drop 16 markers, but he shot just 6/19 from the floor. This is the first time the Batang Pier have reached this deep into the playoffs, and their inexperience has clearly been their biggest weakness. Nevertheless, they are clinging on to the hope that they can still pull off an unlikely comeback.